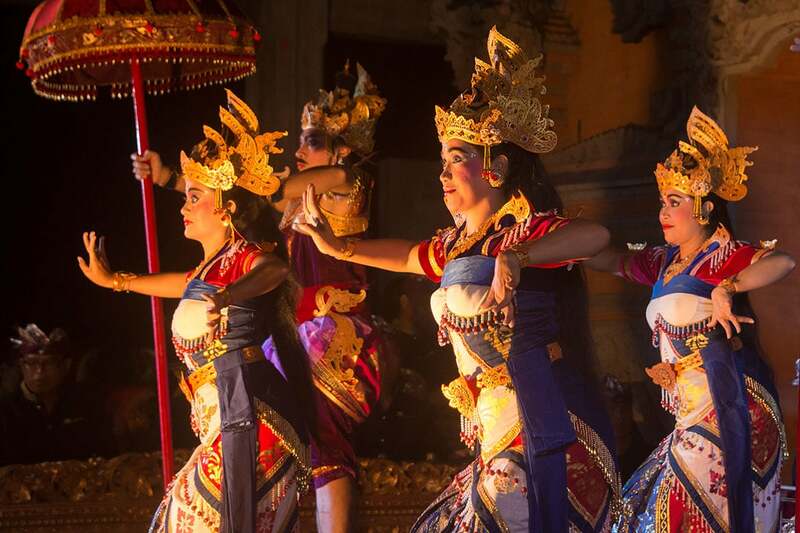 The ancient traditional Balinese dances are truly captivating. 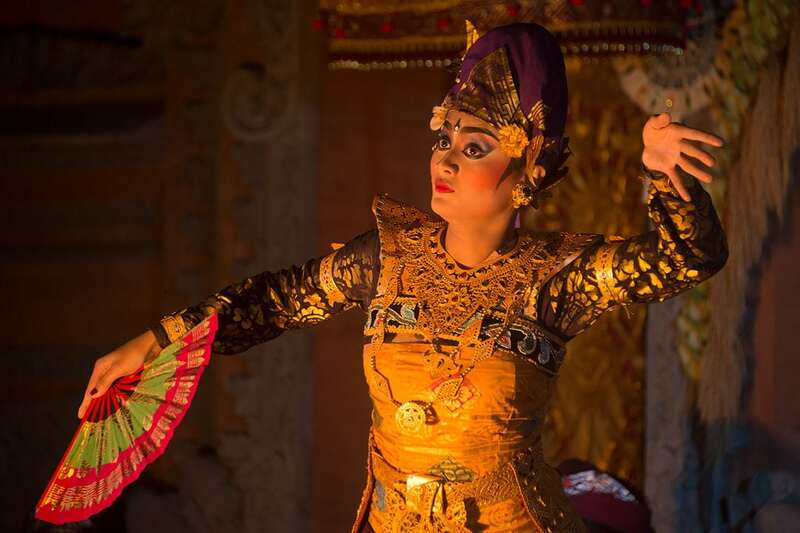 The costumes, the intense and expressive style of dancing, the stories behind them, they are truly amazing. 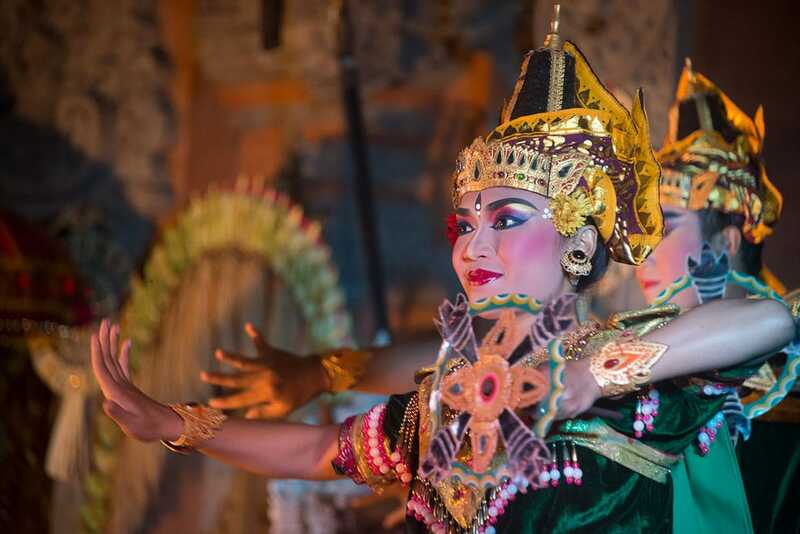 One should not leave Bali without at least watching one of the dances. 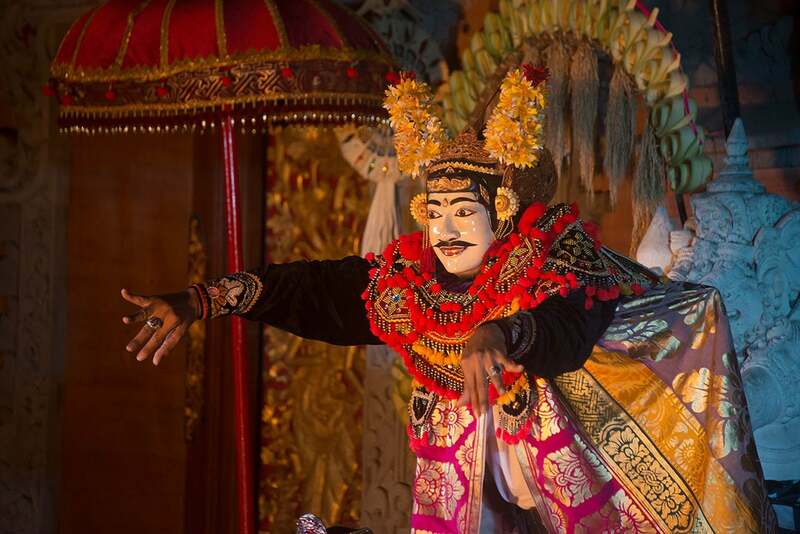 They have many, but the 3 most popular are the Legong, Kecak and Barong dances. 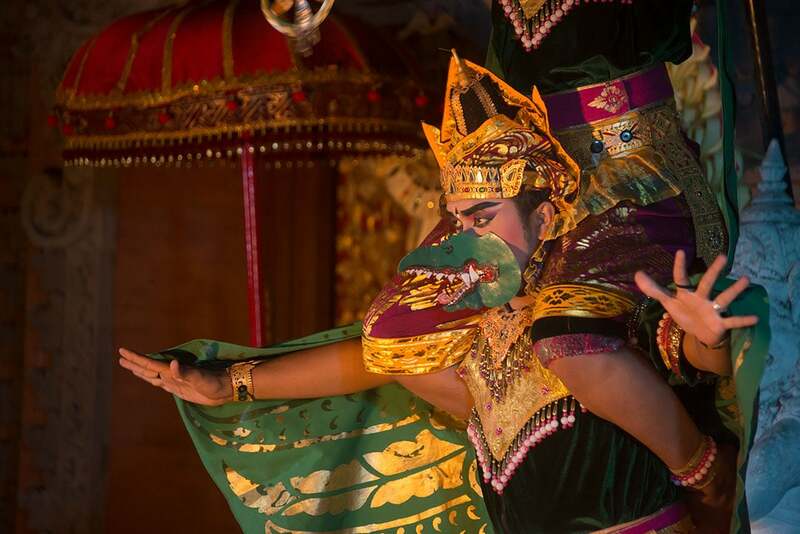 Dances are performed at local festivals, where you could watch one for free in local style, if you know where to find them at the right time. The information office may help you. 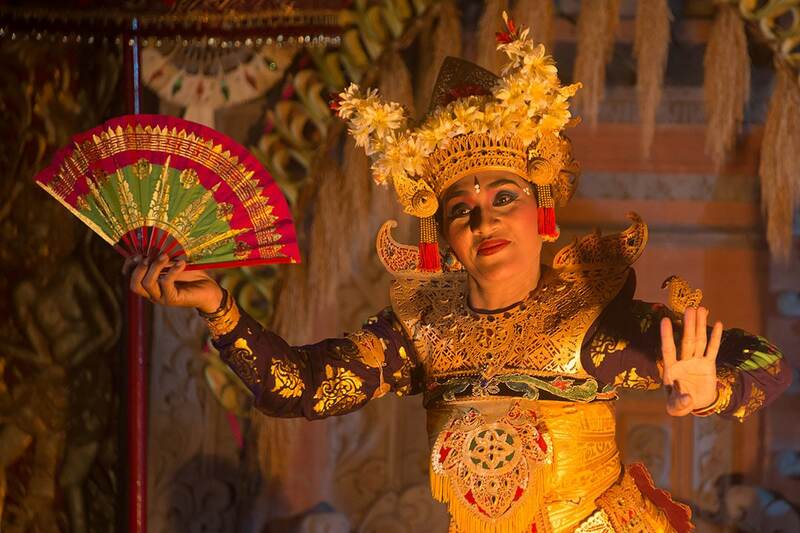 But for tourists they are performed daily as well of course, at many locations, especially around Ubud. Some are better than others, so it’s wise to ask around what the good one are. 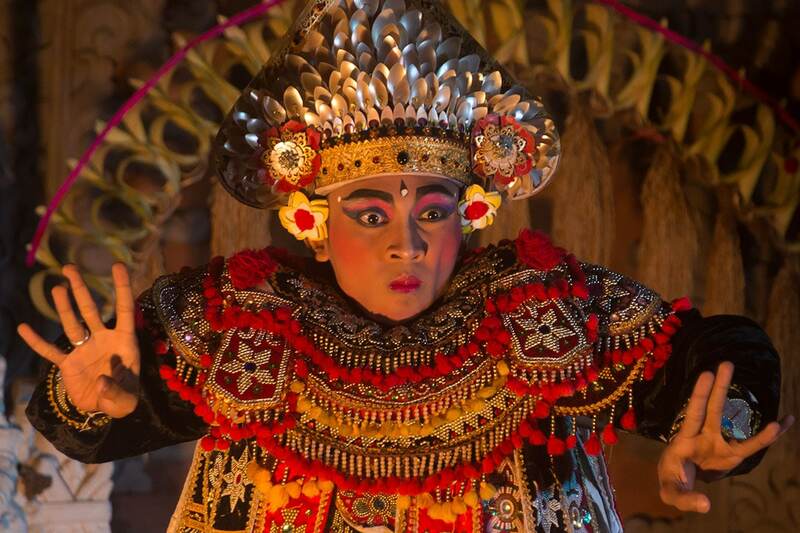 I visited Ubud Place in Ubud to see the Balinese Legong Dance. There’s a daily show at the Ulu Watu temple, which is nice to watch as well. The location is great, they dance during sunset, which is a great backdrop. But it gets extremely crowded. I have seen more dances during a previous trip, and I much prefer the smaller crowds. 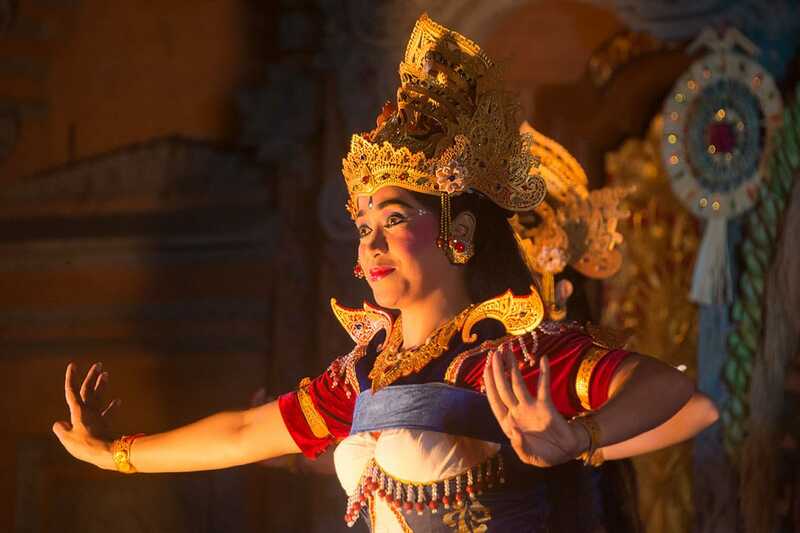 Want to know more about the Balinese dances? 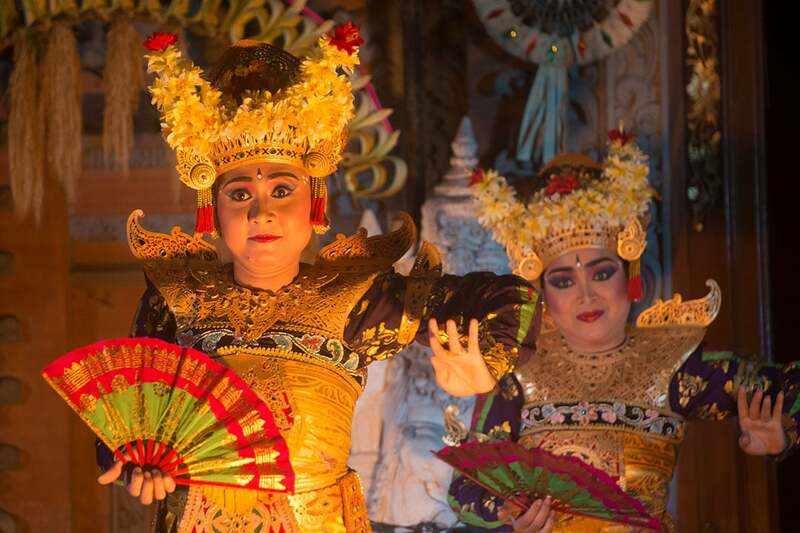 Read more about the Balinese dances at Wikipedia or at FactsAndDetails. I shot these with a Nikon D800 and a 28-300/f3,5-5,6 lens. The lens was the most important element here, because the great zoom really helped me zoom in on the dancers and details. Also it had VR (Vibration Reduction) which helps getting a sharper image. With dances like these you want to get as close as possible. With the seated crowd being close to the stage, I could only shoot from the back or the side, so the zoom was very helpful. As with any type of portrait it’s important to focus on the eyes. The eyes need to be sharp. Zoom in as much as you can and crop the images on your computer for proper compositions. Also you can crop your images to focus more on the dancers if your lens doesn’t have much zoom. I keep my focus point in the centre of and often switch my camera to manual focus when the subject isn’t moving, so I can change my composition. Nikon cameras have a switch near the lens (where I keep my hand anyway) or you might want to use the ‘back button focus’ on your camera. To be able to capture images without any motion blur, you should shoot at about 1/200. Use the lowest aperture to maximise light sensitivity, you don’t need the background to be sharp anyway. To get a proper exposure you will need to crank up your ISO, I shot at ISO 3200, which gave me a perfect exposure. I barely applied any edit to any of my images. A few need some increase/decrease of exposure and a few had some overexposed highlights. Keep an eye on the background. Even though you’re main priority is the dancer, you will want the background to be as nice as possible, so that might mean you have to move your position. To have some variety in the background, move around a bit as well. In my case I could only shoot from the right side and the back, but at least i had a few positions. Last but not least, time your shots. Make sure you capture the right moments, when their position an facial expressions are just right. 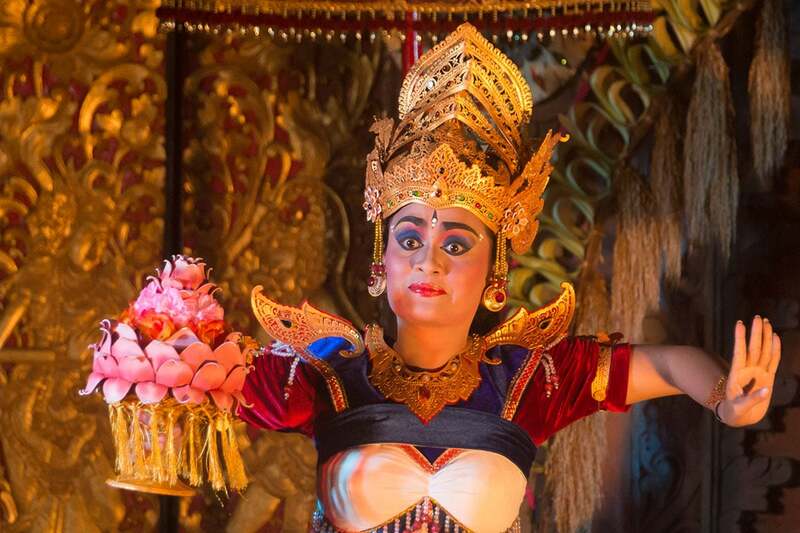 With Balinese dances they have certain moments when they stop their motion for a second. Often their position is really nice, but since motion stops, you’ll get the sharpest results. And always, with any kind of photography, mind the light. Photography is all about light, look for those moments when the light is perfect. 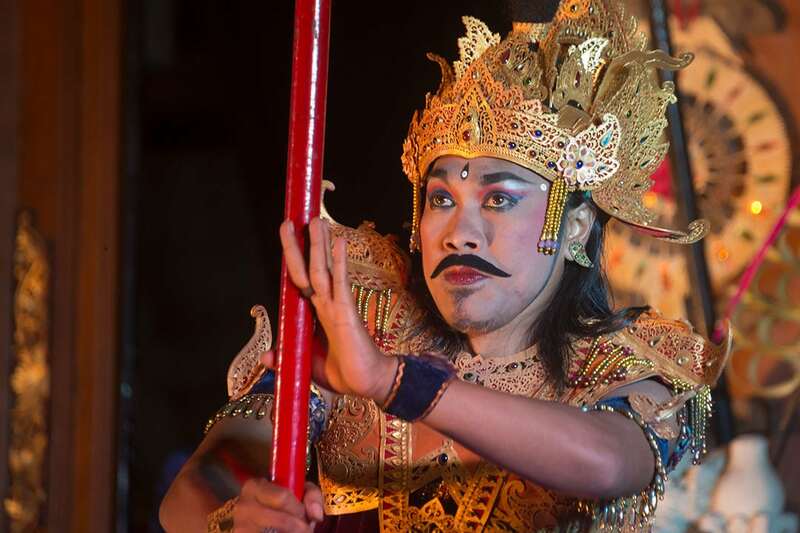 View some of my favourite images here below or watch the full Balinese Legong Dance series at my portfolio. You’re not only talented in landscape photography, you also have talent in taking people’s photos. Love it! These are really good and sharp images. I am having a hard time taking photos on low lights. It’s either too dark, or out of focus. 🙂 Thanks for the tips, will try it next time. It is tricky for sure, but with years of experience in concert photography I learned a lot. 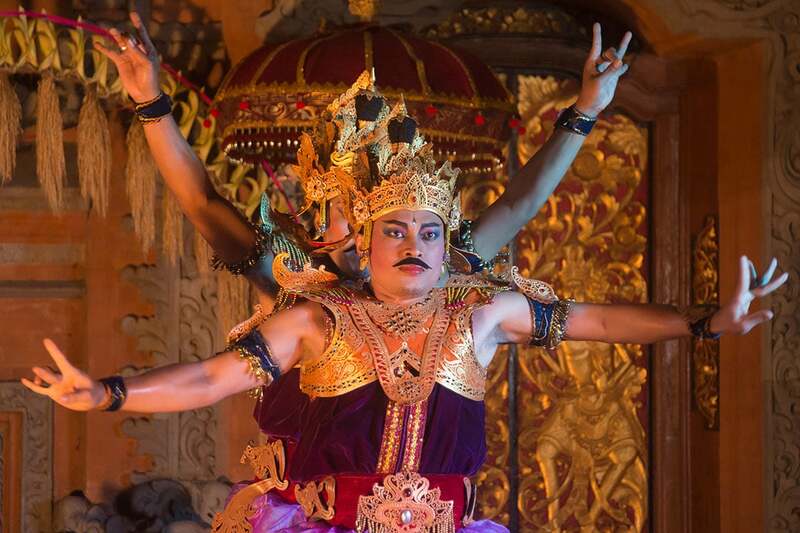 I’ve been to Bali but unfortunately missed these dances!! You’ve got some amazing shots though, we have a Nikon D5600 and a 18-300/f3.5 lens which take some really good images too. Hopefully we’ll go back to Bali and se this for ourselves! That’s a pretty similar lens, so you should be able to get some nice close up shots. Hope you make it there again, the dances are worth visiting! Wow, the photographs are wonderful! I have always struggled to take pics in low light. Will keep your tips in mind from now on. 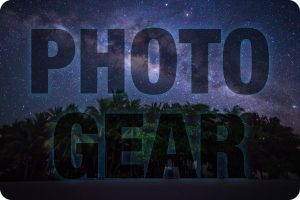 Shooting in low light surely is a challenge, hope the tips help you! Thanks, that’s great to hear! Have fun and good luck! The photographs are great. You are sure one genius. 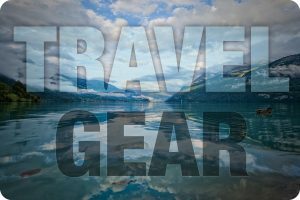 Been having issues taking pictures lately and thanks to your post, I can follow these tips and restrategise. 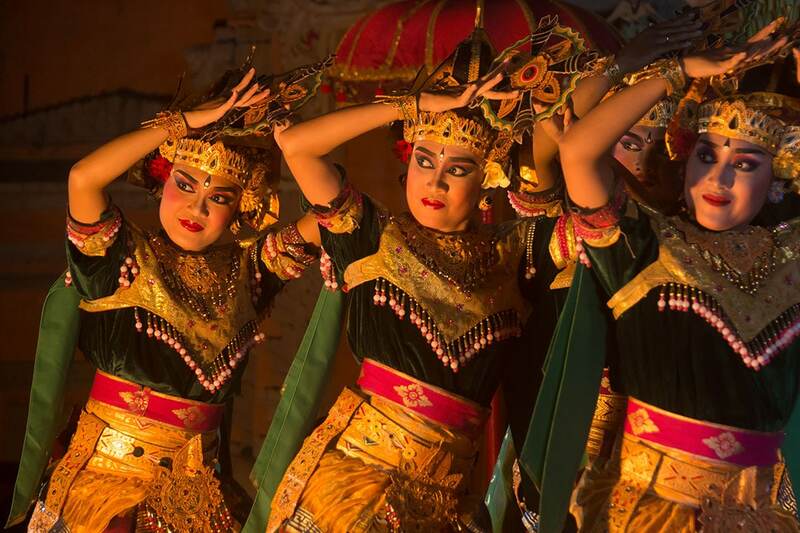 The Legong dance is so expressive and the dancers are so graceful. You have captured this lovely dance in vivid colour and detail in your pictures. 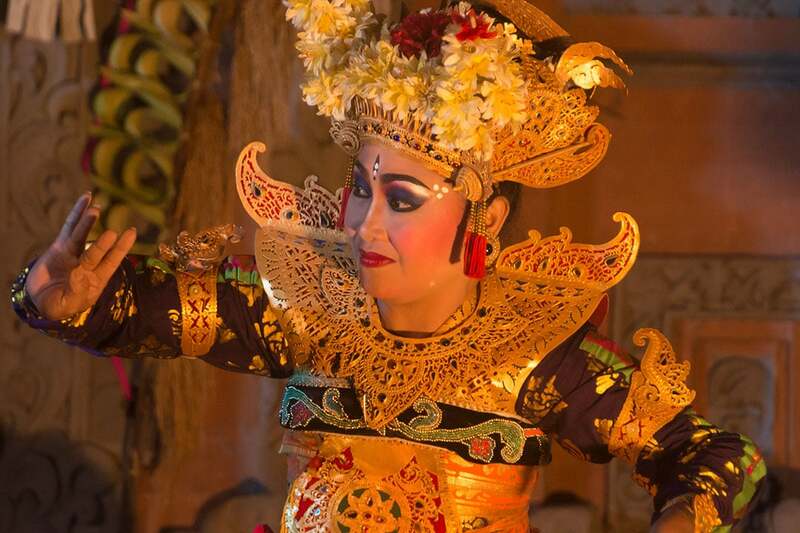 They are really stunning and bring alive the spirit of the Balinese culture. Great photos and thanks for the tips too! I am interested in photography as well. Unfortunately, when I visited Bali I did not have a good camera and only took photos with my phone. I love watching traditional dances as well. 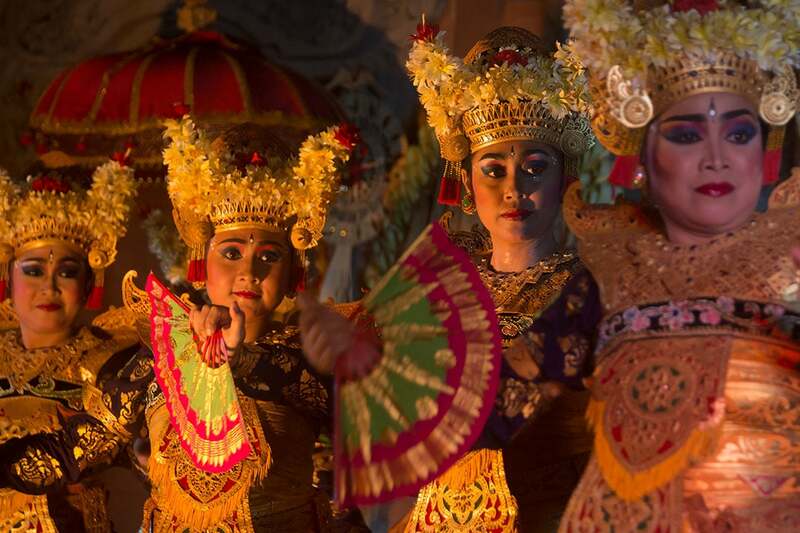 It can give you a glimpse of a country’s culture and tradition. 🙂 Love how you were able to capture moments of their performance, too. I usually have a hard time capturing subject while they’re on the move. 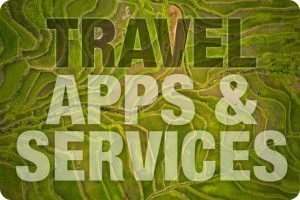 You have a great trip to look forward to! Have fun! 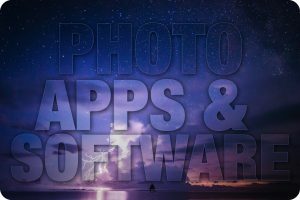 Wow these are amazing night photos! I walked past one of these daces in Ubud, cant remember which style it was, but it was super dark so Im amazed at how well these shots turned out.